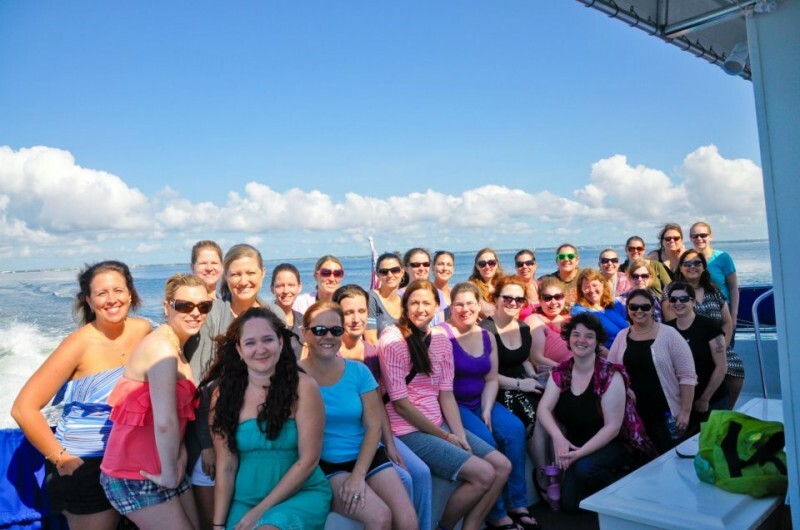 The fabulous ladies of Circle PR weren’t actually on the boat, but they were with us in spirit on the morning of our Portofino Dolphin Cruise thanks to their generous sponsorship. The relaxing cruise was the perfect way to wrap up our jam-packed weekend. 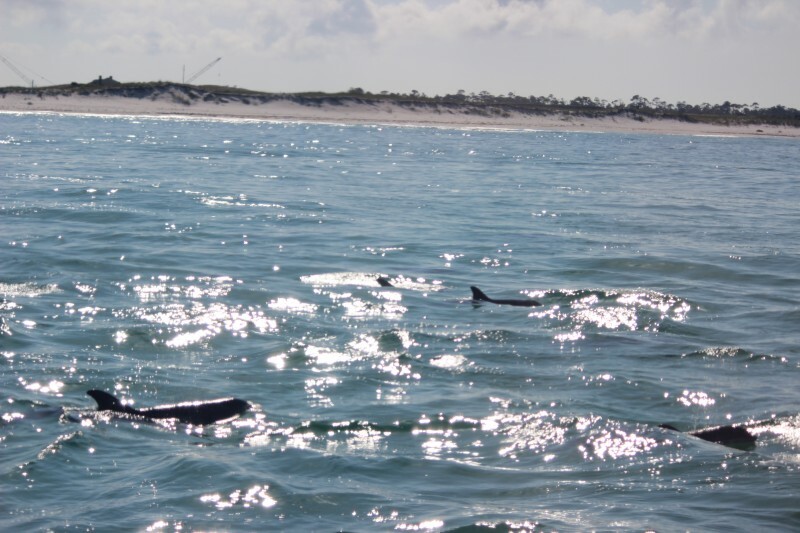 Yes, we saw lots of dolphins as promised! Even a couple a babies. The “awwwws” coming from the 32 moms on board could probably be heard on the shore. 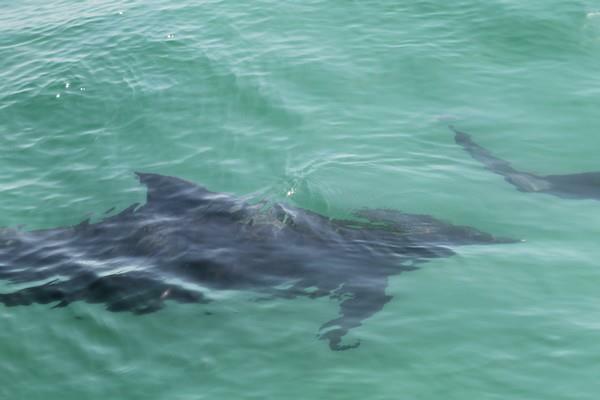 In fact, we saw so many of the beautiful creatures I eventually stopped trying to get a perfect picture and just enjoyed their companionship beside the boat. At one point an adolescent decided it was time to play and gave us a little jumping show. I wasn’t fast enough with the camera for him! 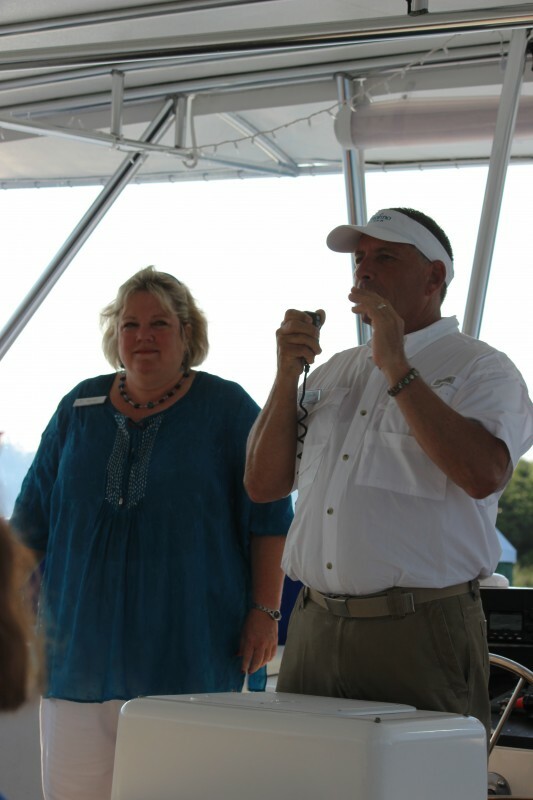 Our guide and captain were both knowledgeable about the history of the area, and I enjoyed learning about Ft. Pickens, The Naval Air Station, and The Pensacola Lighthouse almost as much as seeing the dolphins themselves. Hubs and I both lived in Pensacola for several years before we were married. 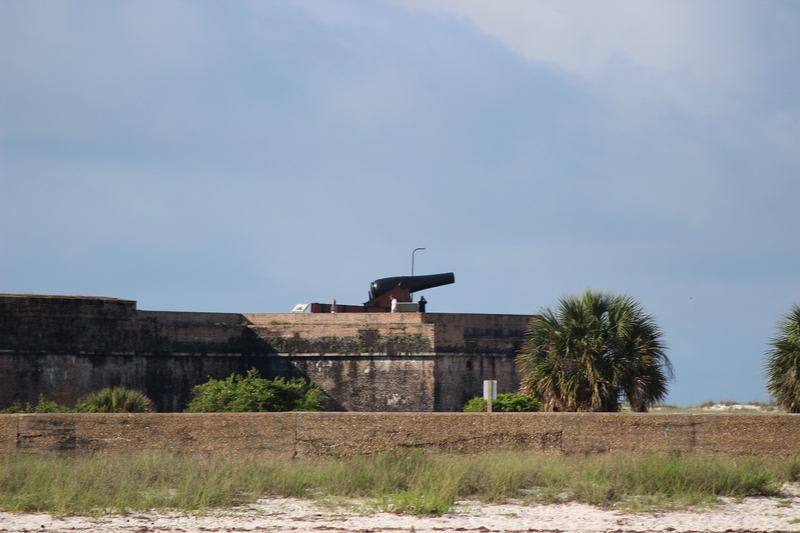 Here’s a view of Ft. Pickens like I’d never seen it! We saw divers out testing for their certification, plenty of jellyfish, and fishermen trying their luck on this beautiful Sunday morning. Thank you Circle PR for making this event possible!